The official ceremony launching HKU's new LLM in Compliance and Regulation was held on Monday, 14 March 2016, in the company of distinguished guests including the Secretary for Financial Services and the Treasury, Professor KC Chan. In the following interview, the Director of the LLM(CR), Professor Douglas Arner, explains the genesis, aims, scope and structure of the new programme, which begins in September 2016. 1. What inspired this new LLM? Does it exist anywhere else? Over the past 20 years, in Hong Kong and around the world, financial regulation and compliance has been one of the faster growing areas. This programme is very much intended to meet a high and increasing demand among firms and market participants for a high quality degree in the area. The programme builds on existing Faculty strengths, in particular our world class Asian Institute of International Financial Law and LLM in Corporate and Financial Law, and related staff, research and teaching. In particular, the LLM in Corporate and Financial Law has seen a very large increase in applicants seeking a compliance related degree over the past 10 years. In the wake of the 2008 global financial crisis, we felt that now was the right time to create a new and focused programme. 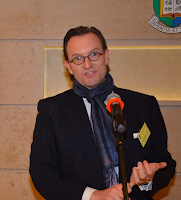 This is the first such programme in Hong Kong and the region. 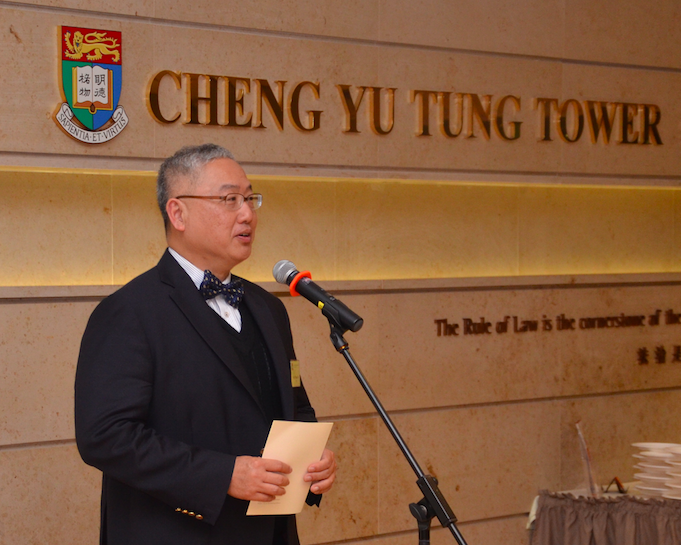 Other major universities elsewhere have also recently been launching or considering launching similar programmes for the same reasons as HKU. 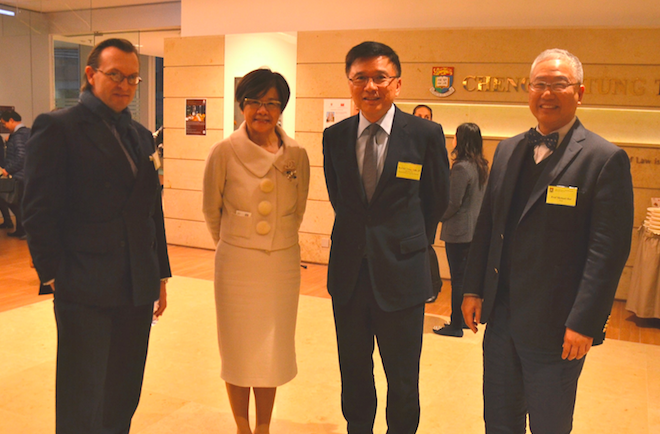 Given our existing strengths in the area, it is a very appropriate next stage for HKU's efforts. 2. How will this new LLM be different from the LLM in corporate and financial law and the other LLM offerings? The LLM in Compliance and Regulation is designed to focus on the needs of those working or intending to work in regulation and compliance areas. 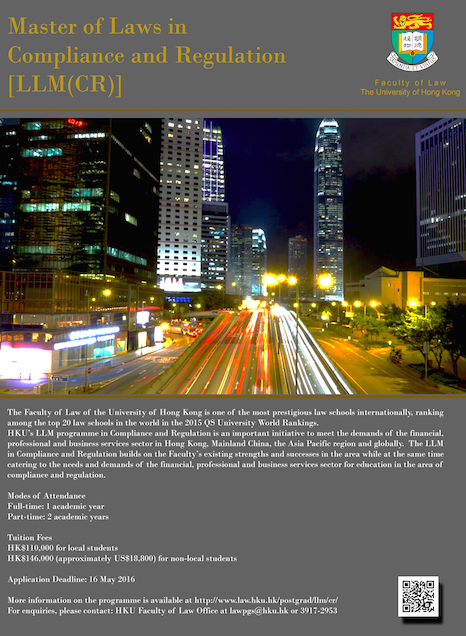 It is designed to provide them with an overall understanding of the major trends in the area as well as their expression in Hong Kong, Mainland China and the Asia Pacific region. It is thus a more focused programme than the LLM in Corporate and Financial Law, which is designed for those looking for greater understanding of key trends and issues in the transactional area. The LLM in Compliance and Regulation will focus not only on the content of international standards and local rules and regulations in the financial sector but also on developing professionalism and culture to support competitiveness not only in firms but also in the financial sector generally. 3. There are already many compliance training programmes offered in the marketplace. How will this one be distinctive and what is the target group? This is the first university masters programme in the region. It is thus an academic programme rather than one focused on compliance training. Graduates will expect to have a broad understanding of the issues and trends as well as of the rule makers and the rules themselves. As a university, this is our advantage compared to a private sector training programme and one that fits with our mission of supporting both human capital and societal development. The programme will accept students with or without law degrees and will strongly consider related experience. We anticipate a balanced cohort of mid-career, senior and junior applicants from a wide variety of different academic and professional backgrounds. 4. Based in a Faculty of Law setting, will this programme be highly academic and not sufficiently practical? What are the expected learning outcomes of the programme? As a university, our advantage is building an integrated programme that builds wider understanding of key issues and trends, providing those completing the programme with the tools to address compliance and regulatory issues as they develop in future. The programme is built on a foundation course which will provide the necessary tools to understand the complex international and local regulatory systems. In addition, there are a wide range of specialised courses providing in-depth analysis of specific areas, such as anti-money laundering, securities regulation, listed companies compliance, privacy etc. The programme is topped with a series of capstone courses seeking to integrate understanding across specialised areas. Thus, those completing the programme should find themselves well placed for career advancement in the sector. At the same time, the teachers in the programme will be a mix of experienced academics as well as highly experienced professionals working in the area and seeking to share their knowledge and expertise. 5. How is the programme related to the research programme of the HKU Faculty of Law? Corporate and financial law and regulation forms one of the Faculty's core strategic research areas and areas of strength. We have been building in this area of almost 20 years, reflected in the fact that our Asian Institute of International Financial Law is now widely regarded as the leading corporate and financial law research centre in the Asia Pacific region. Likewise, our LLM in Corporate and Financial Law is highly competitive, with graduates working at all levels across the region and the world. Thus, the LLM in Compliance and Regulation very much builds on existing Faculty research strengths. For more information on applying to the programme, click here.